Rice is a staple of Thai food. Siam Rice takes its name from the famous Koa Hom Mali or Thai jasmine rice, which is known for its fragrant aroma, silky smooth texture, and taste. This reputation for quality is the foundation for Siam Rice. 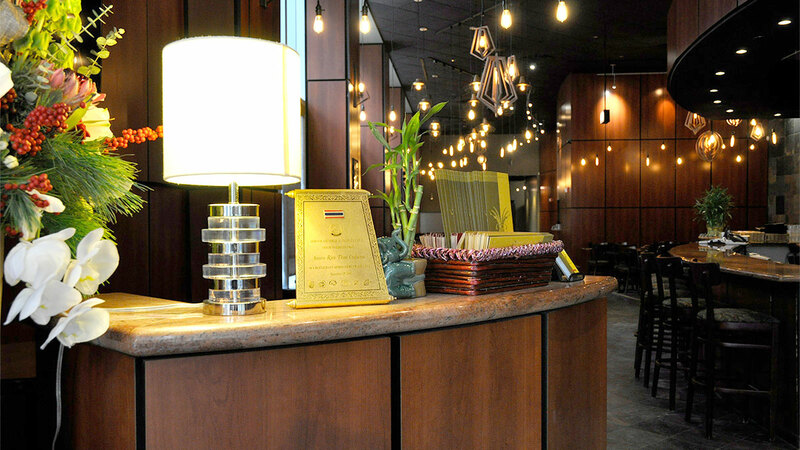 We strive to bring to you the best of Thai food. 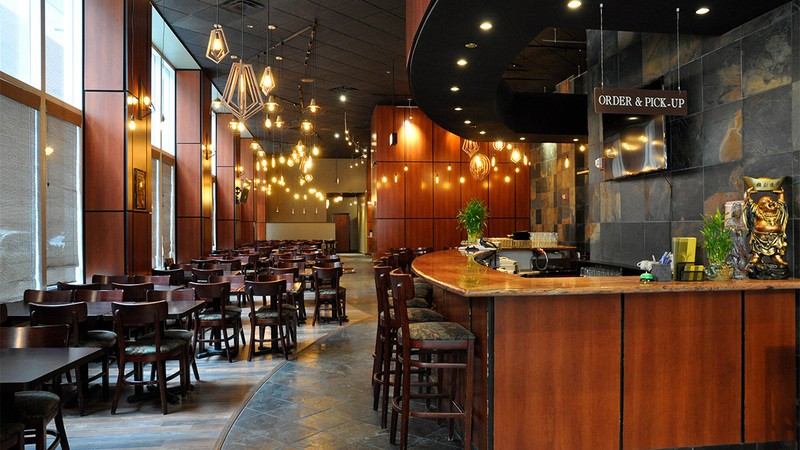 Located in the heart of Chicago Loop, we are the perfect pick for diners looking for good food at good prices. 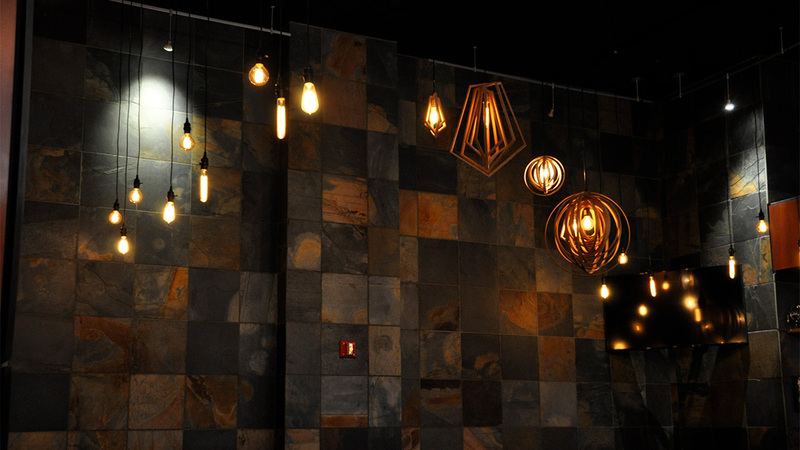 The modern decor of our dining room provides a relaxing atmosphere for a casual business lunch or an informal dinner before a show. We now have wine and beer. 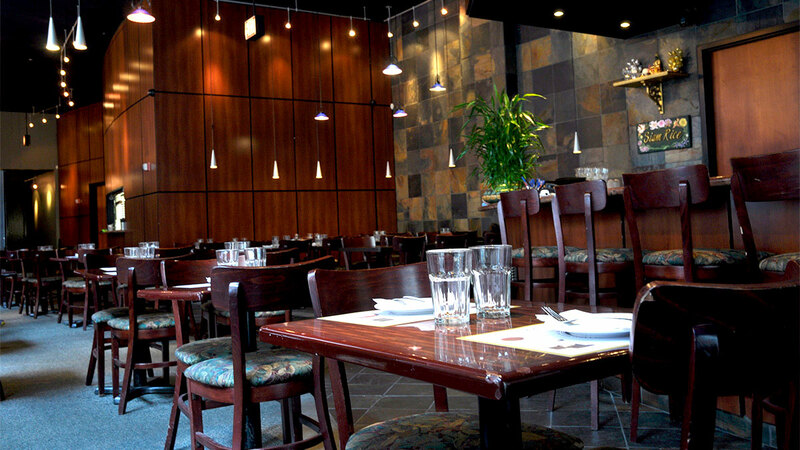 For a great dining experience, please visit us at 117 North Wells, Chicago, Illinois 60606 or call 312-606-9999. Crispy vegetable egg roll with cabbage, carrot, onion, vermicelli, noodle and sesame oil, served with sweet & sour sauce. A mixture of crab meat, cream cheese, celery, wrapped in crispy crepes. Served with sweet & sour sauce. Pan fried pastry filled with shrimp and vegetables. Served with delicious sesame sauce. Shrimp, chicken, carrot, cucumber, rice noodles and thai basil leaves wrapped in rice paper. Served with sweet tamarind and peanut dipping sauce. Famous Thai appetizer, marinated in light curry, served with delicious peanut sauce, toast, and cucumber salad. 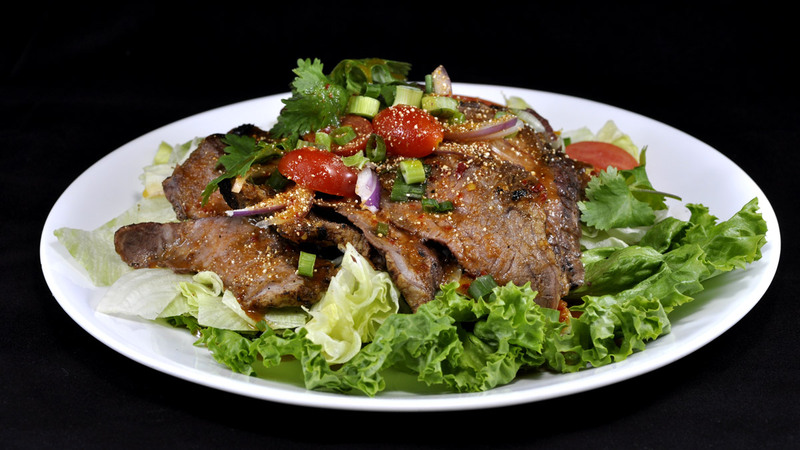 Marinated beef in Thai herbs, served with chili sauce. Golden fried shrimp cakes, served with spicy peanut cucumber sauce. Hot & sour soup with mushrooms, tomatoes seasoned with lemon grass, cilantro, lime leaves and fresh lime juice. Coconut milk soup with mushrooms spiced with galanga root, lime leaves, and fresh lime juice. Rice soup with ground chicken & shrimp, celery, cilantro and topped with green onions. 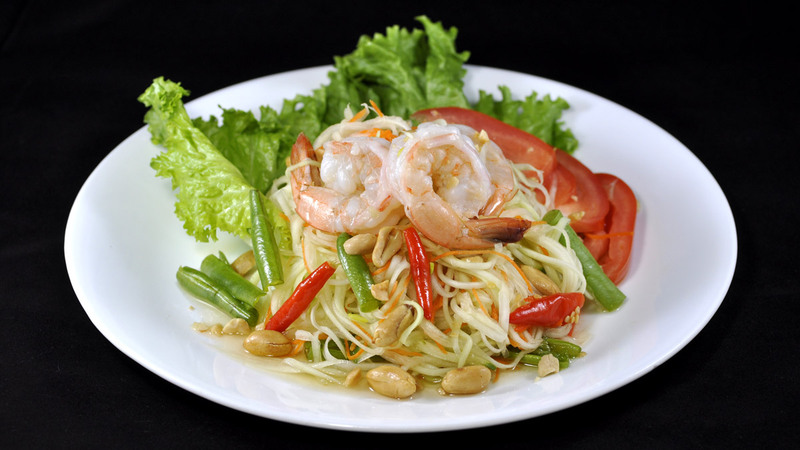 Famous Thai salad, shredded green papaya with green beans, tomato, ground peanut in a spicy house dressing. Ground chicken mixed with onions, hot peppers and tasty lime juice, served on lettuce bed. Sliced lean steak sirloin grilled to perfection mixed with onion, hot pepper and tasty lime juice. Served on fresh assorted vegetables. Boiled bean thread noodle seasoned with shrimp, ground chicken, lemon juice, green onions, fish sauce and hot pepper tossed with lettuce. 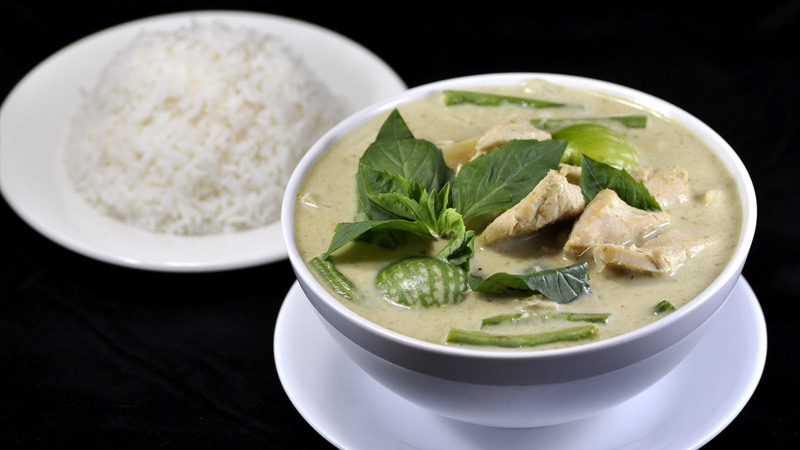 Curry DishesAll Curry Dishes are served with 100% Thai Jasmine Rice or Brown Rice for $2 extra. Chicken, Vegetable or Tofu 12.95 / Beef or Shrimp 13.95. A popular green curry with Thai eggplant, green bean, hot pepper, and bamboo shoot simmered in coconut milk with flavors of lemon grass and Thai basil leaves. Thai spicy red curry with coconut milk, green bean, Thai eggplant, bamboo shoots, hot pepper and Thai basil leaves. A very popular Thai curry topped with lime leaves. Thai Karry curry with potato, carrot and white onions. Served with cucumber salad. Medium spicy curry in coconut milk with potatoes, carrots, and peanuts. Rice DishesAll Rice Dishes are served with 100% Thai Jasmine Rice or Brown Rice for $2 extra. Chicken, Vegetable or Tofu 12.00 / Beef or Shrimp or BBQ Pork 13.00. Stir-fried chicken or your choice of meat with cashew nut, pineapple, peapods, mushroom, bell pepper and dried peppers. Stir-fried your choice of meat with onion, bamboo shoots, bell peppers, mushrooms and hot peppers in spicy sauce. Assorted vegetables stir-fried in a light sauce with choice of meat. Stir-fried chicken or your choice of meat with sliced ginger, bell peppers, mushroom, baby corn and onion. Sautéed your choice of meat topped with peanut sauce and garnished with steamed broccoli. 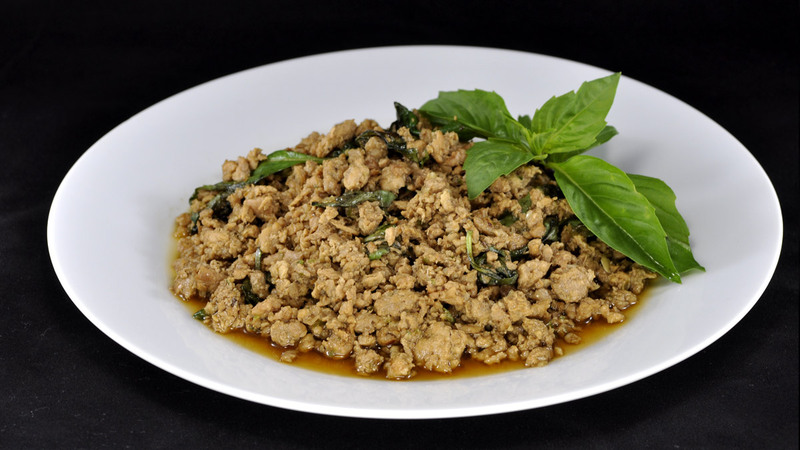 Fresh garlic, white ground pepper and sweet garlic sauce stir-fried with your choice of meat. Stir-fried beef or your choice of meat with ginger served over broccoli in a delicious oyster sauce. BBQ pork surrounded by steamed broccoli with delicious ginger garlic sauce. Stir-fried rice with fresh basil leaves, onions, bell peppers, hot pepper. Stir-fried rice with onions, carrots, green peas and egg. Stir-fried rice with pineapple, carrot, green peas, raisins, and cashew. Stir-fried rice with green peas, Thai basil leaves and Green Curry sauce. Stir Fried NoodlesChicken, Vegetable or Tofu 12.00 / Beef or Shrimp or BBQ Pork 13.00. 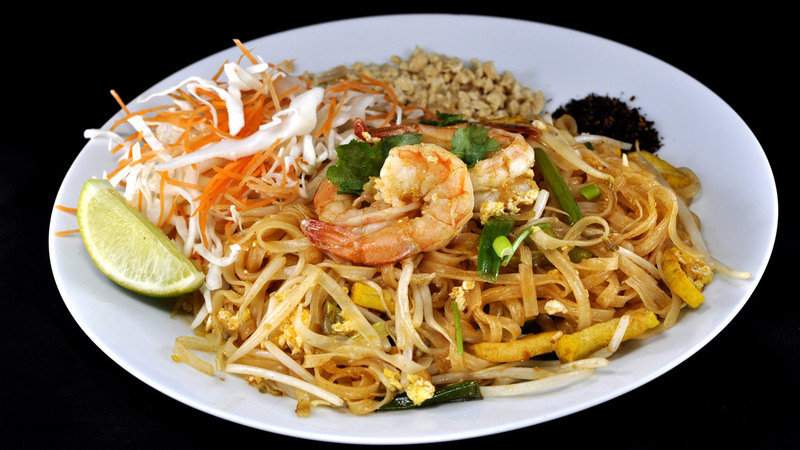 The most recognized Thai noodle dish. Stir-fried thin rice noodles with green onions, bean sprouts, yellow tofu, sweet radish, egg, & crushed peanuts. Stir-fried glass noodles with green onions, bean sprouts, yellow tofu, sweet radish, egg crushed peanut. Stir-fried wide rice noodles with egg, Chinese broccoli, and sweet soy sauce. Stir-fried wide rice noodles and broccoli in delicious house gravy. Stir-fried glass noodles with egg, baby corns, carrots, peapods, mushrooms, white & green onions. Stir-fried pasta with chicken, white onions, broccoli, red peppers, baby corns, carrots, fried garlic & curry powder. Stir-fried spaghetti noodles with chicken & shrimp combo, Thai basil leaves, carrots, green beans, baby corns, tomato, hot peppers, and bean sprouts. Tasty vermicelli noodles with bean sprouts, crushed peanuts, topped with garlic chicken. Stir-fried egg noodles with chicken, egg, carrots, peapods, mushrooms and broccoli. Stir-fried thin rice noodle and Thai basil leaves, Chinese broccoli, green beans, peapods, tomatoes, carrots and baby corns. Stir-fried wide rice noodles with chicken, shrimp combo, Thai basil leaves, carrots, green beans, baby corn, tomatoes, bean sprouts, & hot peppers. Thin rice noodle with ground chicken, shrimp, green onion, bean sprouts, ground peanuts, cilantro in spicy and sour soup. Sliced BBQ pork, Chinese broccoli, bean sprouts, green onions served over egg noodles in a seasoned broth. Udon noodles with narutomaki (fish cake), shrimp, seaweed, and green onion, served hot in our house seasoned broth. The very popular Thai curry. Chicken or beef in delicious panang curry, served on top of crispy wide rice noodles. Golden noodles with chicken in tasty coconut curry, sprinkled with onion and crispy golden noodles. Stir-fried udon noodle with chicken, shrimp combo, Thai basil leaves, carrot, green bean, baby corn, tomato, bean sprouts and jalapeno. Tasty egg noodles with BBQ pork, fried wonton, crab meat, bean sprouts, crushed peanuts. Stir-fried thin rice noodles with green onions, bean sprouts, yellow tofu, sweet radish, and crushed peanuts. Wrapped in egg omelets. Eggplant grilled to perfection and topped with sautéed minced shrimp and chicken with chopped garlic, hot peppers,and fresh basil leaves. Stir-fried spinach noodles with shrimp, napa, green onions, carrots, egg & bean sprouts. Tasty spinach noodles with roasted duck and Chinese broccoli, topped with green onions, cilantro and fried garlic. Special spicy red curry with coconut milk, hot pepper and Thai basil leaves. Steamed flat rice noodles and grill steak tossed with sweet soy sauce, bean sprouts, and crushed roasted peanuts. Famous Thai grilled steak with spicy sauces on the side. Served with sticky rice. Lean steak sirloin dipped in mussaman curry, and grilled to perfection. Served with carrot, potatoes, served with jasmine rice. Grilled salmon to perfection. Topped with teriyaki sauces. Served with jasmine rice. Grilled salmon top with famous Panang sauces sprinkled with minced kaffir lime leaves and fresh chill. Served with jasmine rice. All group package entrees come with 100% Thai jasmine rice. Deliciously marinated sticky rice served with Thai custerd and topped with traditional coconut milk sauce.